A delightful pod system for two, the Suorin iShare Ultra Portable AIO Vape Starter Kit was made to deliver the enjoyment of a unique pod system in a very versatile way. The Aspire Breeze 2 has been designed with total simplicity in mind, aiming for that &apos;less is more&apos; approach, and we have to say, they have definitely succeeded with it. The ENVII Fitt has been designed with a revolutionary 3.2ml-capacity vape POD that allows for fast, easy refills with the liquids of your choice. This starter kit features the intelligent design of the Suorin Air, featuring a convenient refillable system, centered around the pod cartridge setup. A meeting of both style and performance, the excellence contained within this setup is sure to please even the most discerning vapers. This starter kit includes the Nexus System, the option of two different coils, and a USB charging cable. Ask an experienced vaper about their first starter kit, and they may recount it with the excitement of a child unwrapping their favorite Christmas present. The light reflecting off of smooth, unblemished surfaces of steel, glass and high-grade plastic coupled with the delicate ritual of inspecting and assembling their vaporizer device for the first time. The anticipation of charging it up while carefully choosing the e-liquid they will use to commemorate their new device's inaugural use. And, of course, that first satisfying drag from a completely unsullied coil. Whether you're looking for your first electric cigarette or you're an advanced user adding a new device to your rotation, beginner packs are a hassle-free way to buy a new vape. What Exactly is a Starter Kit? Starter kits are bundles that include almost everything someone would need to start vaping from a new device. A typical bundle includes a battery and a tank, a coil, charger and any necessary peripherals. Though some packages may include a bottle of vape liquid, South Beach Smoke knows everyone's palate is different; which is why we give you the opportunity to choose your e-juice flavor as a separate option. Why Buy a Bundle Over Individual Components? Beginners can simplify their first vape purchase by getting a jumpstart kit and and then adding the vape juice of their favorite flavor. Another reason could be that you're used to a lower power cig-a-like, and you're looking for a richer, more flavorful vape. Finally, you may be looking for a gift for someone whos looking for an alternative to smoking and these types of packages provide everything needed in a matching style and color. What Kind of Bundle Do I Need? There are several styles of vaporizers and we offer bundles in each. Below is a break down of the different styles of vaping devices. 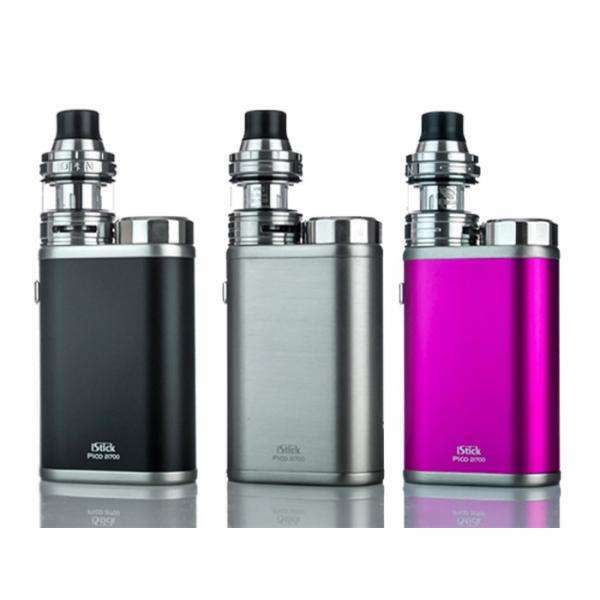 Portable AIO (all in one) kits include everything you need to vape your favorite flavors in a single, solid-state device. Some vape devices, like the Aspire Plato, will allow you to adjust power settings to dial in the volume and flavor of your vape. But typically AIO packages are simple devices that are geared towards beginners; ready to operate with just the touch of a single button. The Joyetech eGo D22 XL is a great example, charge it fully, fill with your favorite e-juice, and enjoy. 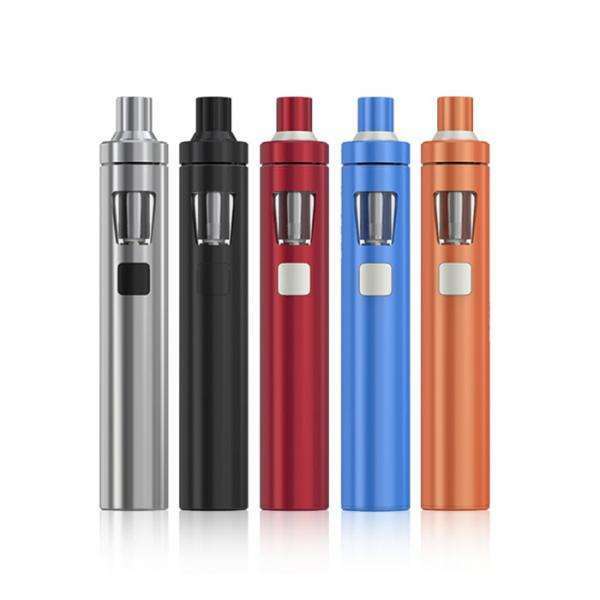 A pen-style e-cigarette (like the Innokin Endura T22) comes in at least two pieces: A tank and a battery. Their cigar-like shape and size make these a favorite among those who've quit smoking tobacco while affording the flexibility of swapping out tanks when you crave a different flavor. A pen-style e-cig with a pod system, such as MyBlu devices, is even more convenient as there's no refilling necessary. Finally, for the more advanced vaper, there's the MOD and tank style collection. These kits consist of a powerful battery, a high capacity tank, a customizable drip tip (mouthpiece) and a suite of digital control features. MOD style bundles are for those who want a fully customizable vape experience, where they can control the throat hit, temperature, and the volume or flavor of the clouds they produce. This family of electronic cigs can be further broken down into compact (look for words like mini or nano) or power. Compact devices have longer lasting batteries (look for high mAh numbers) for those who are still trying to satisfy the physical feel of holding a tobacco analog while vaping discreetly. Power setups feature high power batteries (look for high W numbers) and high capacity tanks with low resistance coils. Why Buy From South Beach Smoke? Los Angeles-based vaping company that specializes kits, mods, tanks, coils, and other accessories. Since 2007, Kangertech (aka Kanger), has been producing top-of-the-line personal vaporizers and reliable batteries. Established in Shenzhen, China in 2011, Eleaf makes some of the most popular, widely acclaimed vaporizer mods and accessories to date. Also founded in 2011 in China, Innokin has a huge selection of vaporizers, including pens, portable AIOs, and mods. Blu is one of the most recognizable names in the cig-a-like market and they have four leading designs to choose from - My Blu, Blu Disposable, Plus, and Pro. Vaporesso has carved out a niche in the vaping community for creating trustworthy mods and specialized atomizers to match every vaper’s needs. Back in 2007 Joyetech was introduced to the world and the vaping community has been enjoying high-end devices and delicious vape juices ever since. Tesla was founded in 2009, also in Shenzhen, with one mission: to become a global leader in the device and hardware market; and they haven’t disappointed yet. In 2010 SMOK launched and though the world may not have known it back then, this company would soon be one of, if not thee, most popular names in vaping. Enrollment in South Beach Smokes Home Delivery Program guarantees you the best lifetime warranty in the vaping industry. Members also enjoy discounts on vaporizer liquids and easy to schedule delivery to ensure you never run out of juice. Our regular customers love our loyalty rewards program. Earn points toward discounts on purchases for every dollar spent with South Beach Smoke, as well as social media incentives and special rewards on your birthday. Whether you’re new to vaping or an experienced cloud chucker, South Beach Smoke is the place to look for your next electronic vaporizer starter kit. Check out our selection below, and don't forget to buy some delicious e-flavor so you can begin enjoying your new electronic cigarette immediately on arrival. Feel free to contact us with any questions.